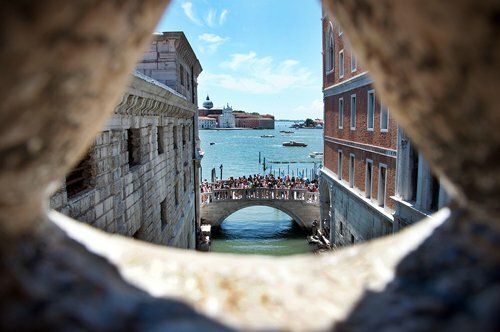 Doge's Palace Secret Itineraries: enjoy your tour with a private guide! 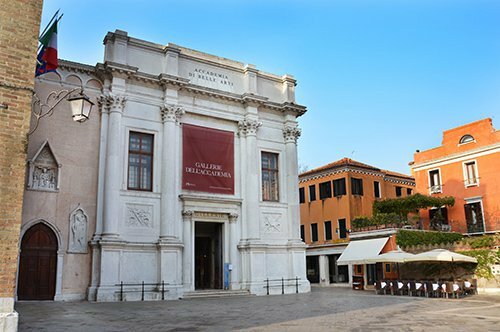 The Secret Itineraries of the Doge’s Palace are formed by a route that crosses the rooms that were used inside the Palace for administrative matters or for the exercise of power, the visit to the secret itineraries can only be done in the company of an accredited guide. 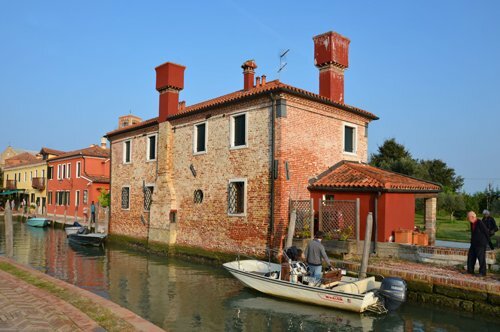 The tour begins in the courtyard of the Palace from which, through a small door, you access the Wells (Pozzi). The Pozzi were small damp and poorly ventilated cells where the prisoners remained. Going up a small staircase, you reach two rooms that housed the Doge’s Notary and the Council Deputy of the Council of Ten. Going back up we find the Office of the Grand Chancellor, who was the person in charge of managing the file appointed directly by the Senior Council. From the Chancellor's Office, through a staircase, we reach the Secret Chancellery Room with walls formed by large closets where public records and private documents were kept. The tour continues to a place that still inspires fear today, the Torture Chamber or Torment Chamber where the magistrates interrogated the prisoners even using means of torture. 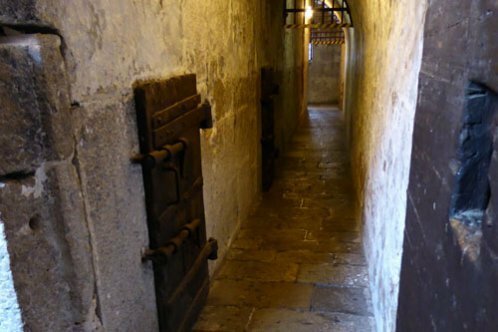 From the Torture Hall, you get to Piombi, the cells of the prison called by the roof formed by lead plates and where Giacomo Casanova was also imprisoned. The visit continues in the attic and from here to the Hall of the Inquisitors. The inquisitors constituted an organ of the Magistracy formed by three members, two of the three inquisitors were chosen from the Council of Ten, the third from among the district councillors who attended upon the Doge. On the other hand, the Chamber of the Three Head Magistrates chosen every month from amongst the members of the Council of Ten, were responsible for preparing the processes and implementing the Council's decisions. In this room there is a secret passage hidden in a closet from which you reach the room of the Council of Ten. Did you know that the Piombi were part of the attic prisons and the name derives from the material used to make the slabs that formed the roof? The Council of Ten had the power to decide who would be imprisoned in the Piombi and, in general, those who had committed political crimes or who were awaiting trial were detained in this part of the prisons. The conditions of detention in the Piombi were lower compared to the New Prisons (Prigioni Nuove) but, undoubtedly, better than those of the Pozzi.  Did you know that Giacomo Casanova was imprisoned in the Piombi and that he was arrested on charges of "debauchery" on the night of July 25-26, 1755? At that time the detainees were not allowed to know the duration of the detention, nor the reason for which they were accused and Casanova without knowing for how long he would stay in the Piombi, escaped from prison by organizing the run away through a passage dug in the roof from which he managed to reach the rooftops, return to the Palace and exit through the main door, quickly escaping away in a gondola. 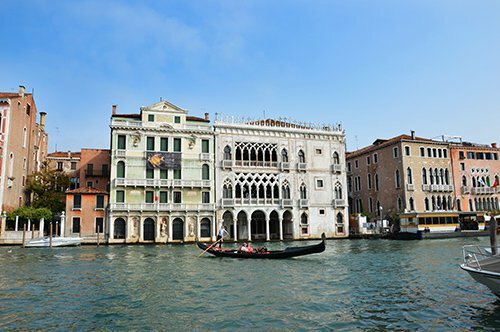 HOW TO VISIT THE SECRET ITINERARIES OF THE DOGE'S PALACE? 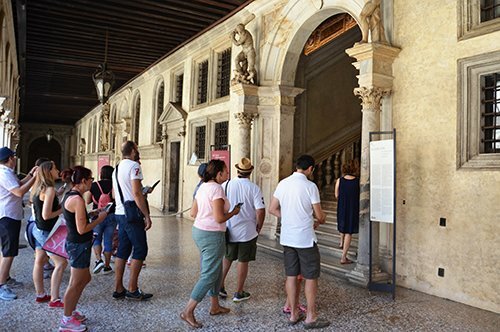 The Secret Itineraries of the Doge’s Palace can only be visited in the company of an authorized guide, the tour offers, in fact, some narrow spaces and steep steps. 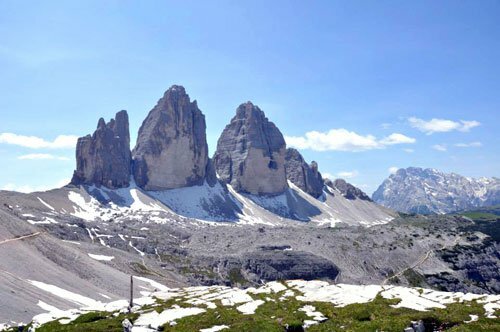 You just need to choose the formula that best suits your needs: the group visit with fixed starting time or the visit with a private guide. 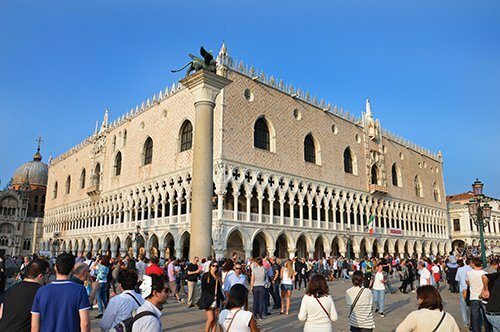 The Doge’s Palace is part of the St. Mark's Square Museums that can be visited with the Venice Museum Pass as well as the Civic Museums of Venice. 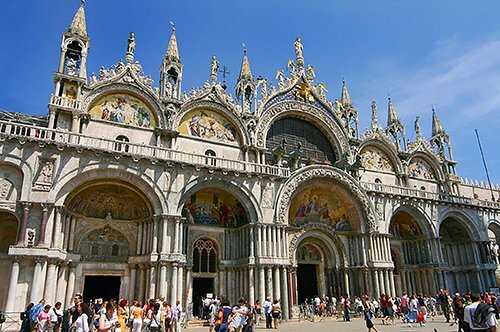 If you are in St. Mark's Square you can visit the St. Mark’s Basilica, which has been the symbol of Venice for centuries, combining an oriental and western style, creating a surprising effect both on the outside and inside. 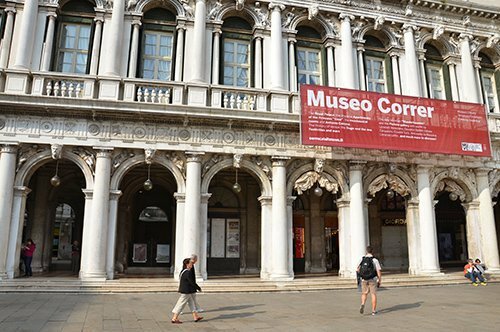 Also at St. Mark's Square you can see the Clock Tower and visit the museums that skirt the square such as the Correr Museum that comes from the donation of the collector Teodoro Correr and the Archaeological Museum that displays a rich collection of antique objects, statues and sculptures from Greek and Roman times. The Monumental Rooms of the Marciana Library, one of the largest Italian libraries that also contains Greek, Latin and Oriental texts, are part of the St. Mark's Square Museums. Among the Civic Museums of Venice we find two historical buildings of the city, the Ca' Rezzonico and Ca' Pesaro that house a gallery of paintings by Venetian painters of the 18th century and the International Gallery of Modern Art respectively, the House of Carlo Goldoni and the Mocenigo Palace, which now houses the Study Centre of the History of Textiles and Costumes, and on the islands of Murano, Burano and Torcello, is possible to visit the Murano Glass Museum and the Lace Museum of Burano. 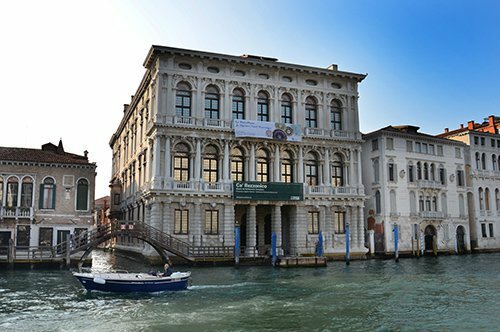 Another museum belonging to the Civic Museums is the Museum of Natural History located in the palace called Fontego dei Turchi overlooking the Grand Canal. Venice is a very special city, especially because its territory is crossed by channels that make it unique in the world, and this same characteristic is what has made it necessary to build a considerable number of bridges, among which the best known are the Rialto Bridge and the Bridge of Sighs that connects the Doge's Palace with prisons. 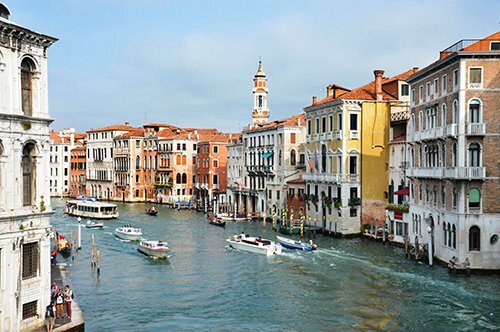 The Map of Venice will help you discover the beauty of this city and to continue your tour of the city of the lagoon, you can visit the Basilica of SS. Giovanni and Paolo, place of burial of the doges or the church of Santa Maria Formosa or even visit the Accademia Galleries of Venice located in the historic headquarters of the Grande Scuola di Santa Maria della Carità (Great School of Santa Maria of the Charity).